We provide a full line of locksmith services. We rekey, repair and replace locks. We duplicate and originate keys. We open locked doors when you have locked your keys inside. 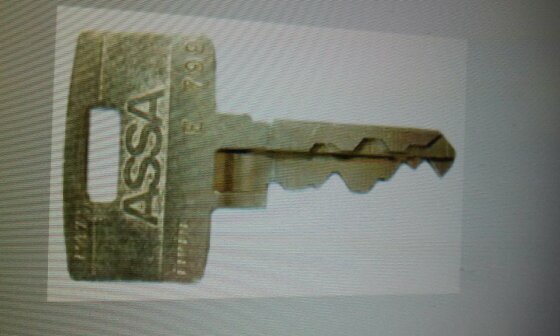 We are proud dealers of ASSA high security products. We sell and service all types of locks and keys. We sell service and install access control systems. We have replacement automotive remotes for as low as $55.00. We have automotive remote head keys for as low as $120.00. Commercial, automotive and residential lockout service. All emergency calls require payment at time of call either credit card by phone or by using the PayPal button above. I just want to take the time to brag on Justin Burr!! Had my ignition lock up on my Jeep this week, and the key broke off in the key hole. Justin came out while he was recovering from illness and changed the cylinder and cut and coded 2 extra keys for me. Justin is a true craftsman and did a fantastic job for a great price!! Thank you Justin, you are a great locksmith, my friend!! This young man provides quick and affordable service. Had him to change locks at my house. Thank you so much for serving us in Anson County! We are blessed! Excellent work. Saved me a ton of money by fixing my Honda ignition. Copyright 2015 Burr's Locksmith. All rights reserved.